More than a year after a Nikolaevsk man was killed by an Alaska State Trooper, the family is still seeking answers. State attorneys cleared the trooper that fired the fatal shots more than three months ago but neglected to tell his parents. Little is known about what happened on March 24, 2018 in the Russian Old Believer community of about 300 people on the Kenai Peninsula. The preliminary account offered by troopers is that officer Luke Kumfer had arrived at the man’s home to follow up a report of a parole violation. He met 42-year-old Nikolai Yakunin outside and was promptly attacked. Authorities say that Yakunin, who had a violent criminal history, became agitated and knocked the trooper off the front porch. Kumfer called for back-up but Yakunin assaulted the officer for 20 minutes before a second trooper arrived and fatally shot him. The dead man’s father is Nikolai Yakunin Sr. He relied on a neighbor who told him she witnessed the final minutes of his son’s life. Nikolai Sr. is the leader of the local Russian Orthodox Church. He gave an interview to KBBI outside of his son’s home last summer where the shooting took place. 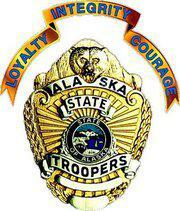 In Alaska, when a trooper uses deadly force, they’re investigated internally. The Alaska Bureau of Investigations – a branch of the Department of Public Safety that includes the troopers – reviews the evidence and forwards it to state attorneys in the Office of Special Prosecutions. On Dec. 24, 2018 – that office issued its findings that Trooper Sgt. Daniel Cox acted lawfully when he shot Yakunin. The 20-year law enforcement veteran was notified he’d been cleared. But the Yakunin family was not. For reasons that remain unclear, the official letter declining to prosecute was never released. KBBI began making inquiries earlier this month. It was only then that state officials realized the error and said they’d notify the dead man’s family. His mother Masha told KBBI on Wednesday that she is disappointed with law enforcement. “It’s his one year anniversary now and life is still hard for the family, especially his four children,” she said over the phone. The state attorney who handled the case, John Darnall, declined to grant an on-tape interview. He said normally families are notified, but he speculated the Christmas holiday and recent staff turnover contributed to the oversight. Darnall said Wednesday the family would be notified. But so far the state’s official account prepared by the Office of Special Prosecutions has not been released. KBBI has requested those documents. Troopers spokesperson Megan Peters said the Department of Public Safety also did not notify the family or issue a press release because she said no one requested the information. KBBI had made inquiries with the Department of Public Safety and the Office of Special Prosecutions prior to the case’s closure. KBBI also requested copies of the troopers’ body cam footage last May, but troopers denied that request, citing the open investigation. KBBI has since refiled its public records request.